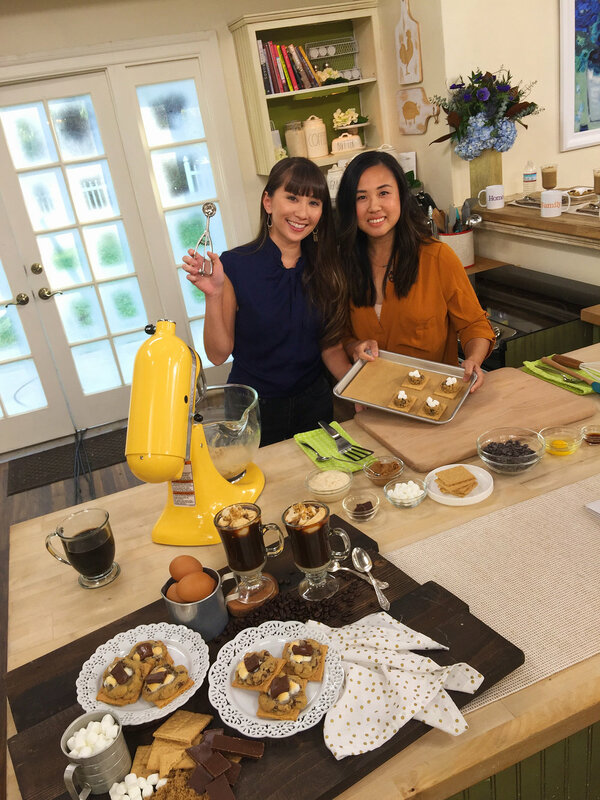 Dough & Arrow co-founders, Gigi and Jenn, featured their famous Smookies and Coffee on Hallmark Channel's show Home & Family! Food trends come and go, but dessert is always welcome. The key to its sweet success is having a product that looks as good as it tastes (excellent service also goes a long way). While it's a little soon for a taste test, Costa Mesa's got some company moving in off Bristol that'll help put our theory to the test. We received the initial tip from a chef friend, but confirmed our findings when our very own Art Director (and OC Press Club winner!) Dustin Ames shared the scoop. Taking the former Duke Bakery space, Dough & Arrow specializes in tasty delights, like the ube snickerdoodle and green tea white chocolate chip cookie dough cones pictured above. Their mixes are made in-house by their pastry chef, Gigi Pascual. Luxe lonchera fans may know her as a founder of The Buttermilk Truck. Our own recollection is from a Dueling Dishes battle we conducted over ube desserts. Also on the founding team, Jennifer Green of Nom Nom Trucks and John Park. Alongside their drool-worthy roundup of egg-free doughs, visitors will discover cookie cream lattes and finished cookies for pairing. We look forward to a summer opening within a plaza which already houses The Halal Guys and Capital Noodle Bar. Be sure to follow the cookie dough parlour on Instagram. Dough & Arrow will be located at 3033 Bristol, Ste Q in Costa Mesa.